HSNM - Link Technologies, Inc. 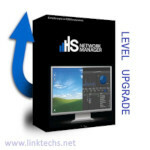 Hot Spot Network Manager is the award winning, virtual, accounting and billing solution for hotspot and PPPoE requests. Not only a carrier class all-in-one appliance but a complete hotspot network management to make the service even more amazing in the eyes of end users. Interested in using Hot Spot Network Manager? Please feel free to contact our Sales Team at 314-735-0270 or Email for HSNM products and prices!